Overview: Summer has firmly marked its arrival this year and with it came a plethora of first world problems, the heat being the main problem. As the temperature hit forty degrees I found that our air-conditioner had decided that it was having a holiday and no matter how many times I mashed the buttons on the remote control it would not return to grace me with its cool, cool air. I became desperate to alleviate my discomfort; I found a spray bottle which I cleverly filled with water. I then wandered around in circles, spraying the fine mist into the air in front of me, walking through the fine, cool droplets. This was fine for the short time before the water in the bottle became quite hot in the sweltering heat and I absently sprayed my face. I then started screaming “Lava! Lava!” while running around in a manic circle believing that my face was melting off. The only remedy for my fickle problems was a good Portuguese white. 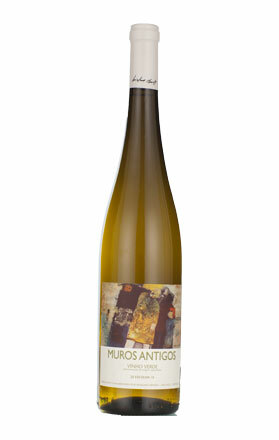 This wine is a blend of Alvarinho (70%) and Loureiro (30%), Alvarinho is also known as Albarino with is an aromatic, elegant variety predominantly grown in Spain and Portugal. Tasting note. A nose of granny smith apples and delicate talc. Citrus on the palate with that elegant talc character from the nose, a touch of jasmine and sandalwood, finishing with a austere minerality and gentle acidity. Final Say: Save yourself from the heat and give this refreshing wine a try. You can pick it up for around $30 a bottle. Overview: Cabernet Sauvignon is frequently referred to as a ‘doughnut’ variety. Why? It’s not because it’s sprinkled with sugar and cinnamon or because it is responsible for overweight men of authority but because when it is made into a single variety wine there is often something missing, a hole in the palate. This ‘hole’ needs to be filled in with something. In Bordeaux, France this is filled with the variety Merlot. On the left bank of Bordeaux Merlot is actually the dominate variety. There is often the perception that Merlot is a one-dimensional, wishy-washy wine that’s good for nothing other than staining the drain with tannin and while this might be true for a lot of the cheap Merlot produced in Australia the fact is that any variety can be made as a one-dimensional, wishy-washy style. 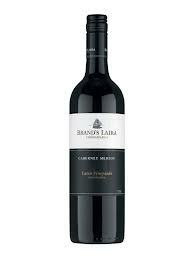 When made in a serious manner Merlot displays savoury spice and rich berry characters. This Cabernet Merlot is quintessentially Australian in style, punchy, oaky, fruit driven and tannic enough to stain your teeth for a week. A good one to put in the cellar for 5 years or so. Tasting note: Lifted aromas of dark cherry, plum and ground coffee tones. The more delicate cherry characters on the nose give way to plum and blackberries on the palate. Liberal contact with oak has imparted cedar flavours and finishes with a touch of menthol and chewy tannins. Final Say: Normally sells for $17 a bottle, it’s probably a little young at the moment but will be looking good in 3-5 years’ time. Overview: The Rosé Revolution. A great piece of marketing that makes us feel as though we’ve been missing out on something and we have. A few older wine drinkers will remember when sweet rosé was all the rage but this Rosé Revolution is aiming to turn us back to the drier styles and where better to look for a great rosé than Provence of France. Forget about the likes of Mateus and other pink lolly waters Provence rosé is the real deal. Typically lighter in colour, dry with great length this is not a quaffing wine but a great food wine. Think seafood and light chicken dishes; possibly at lunch time and you’ve got the best combination for a long afternoon. The Rosé Revolution is charging at us at full force, I’ve had four marketing emails this week using this tag line but will Australian drinkers actually start buying more rosé? Che Guevara, Karl Max and Spartacus certainly hope so and what better way to kick of the revolution with a glass of this great Provence rosé says Stalin. Tasting note: Lighter in colour, typical of the region. A nose of straw, raspberry, subtle strawberry and light confectionary tones. The raspberry characters really shine on the palate with straw and a touch of citric-like acid. 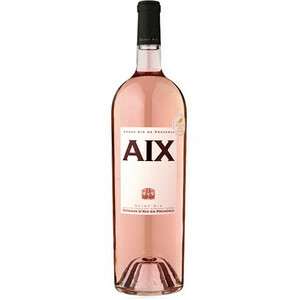 A great example of not only a dry rosé but a great wine from Provence. Final Say: With warmer months approaching this wine is a must to have on hand, well chilled in the fridge. Overview: Australian Chardonnay is clawing way back from its shame days of being heavily oaked and taken to far in the malolactic fermentation (the result of which makes the wine buttery rather than creamy). The region trail blazing our resurgence with elegant, well balanced Chardonnay is the Yarra Valley. The cooler climate retains those refined citrus flavours and careful oaking has made way for our New Order of Chardonnay. As I have said before, Chardonnay will never be as popular as it once was because it’s a food wine not a throw-down-your-gullet-on-a-hot-afternoon-wine and believe me that is a good thing. As is typical of the Yarra this wine has a great minerality to it making it more delicate than Chardonnay from warmer climates like the Hunter and Margaret River. Some people may still like the punch-in-the-face style of Chardonnay but this wine will convert them. Trust me. Tasting note: Aromas of citrus, brioche and soft oak tones on the nose. Flavours of grapefruit, white fleshed nectarine and talc. The oak is subtle, elegant and nicely integrated. The finish is flinty and clean. 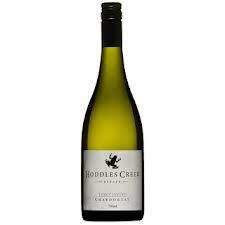 Final Say: If you haven’t tried Chardonnay in a while or absolutely love Chardonnay like me give this classy drop a try. You’ll pick it up for $20 a bottle, great buy.